I’ve been trying really hard to keep off the sugar this year, and when I discovered these little treats I put it down to divine intervention. Living Food is a company based in St Ives, Cornwall, and I first tried one of their raw chocolate nut pies when my aunt sent me one for Christmas. 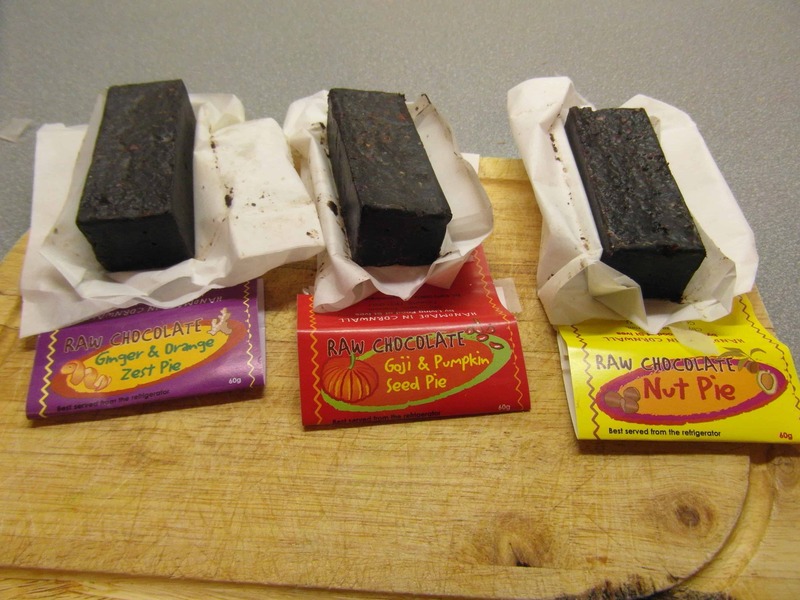 Made with raw cacao beans, known as ‘the food of the Gods’, this gives you all the delicious hit of a chocolate fix, but without any of the added crap, you’d find in a normal bar. 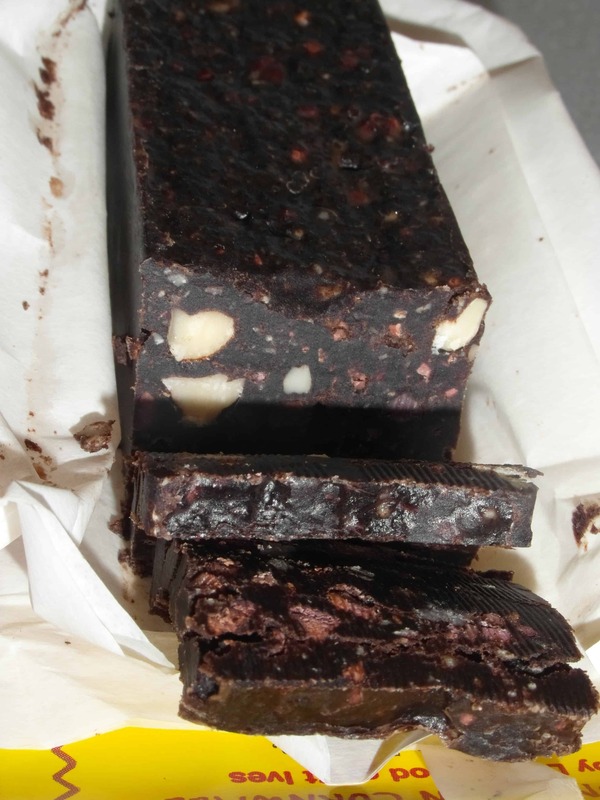 These bars are rich in antioxidants, and packed full of nuts, seeds and berries (depending on the flavour) and are also suitable for vegetarians. 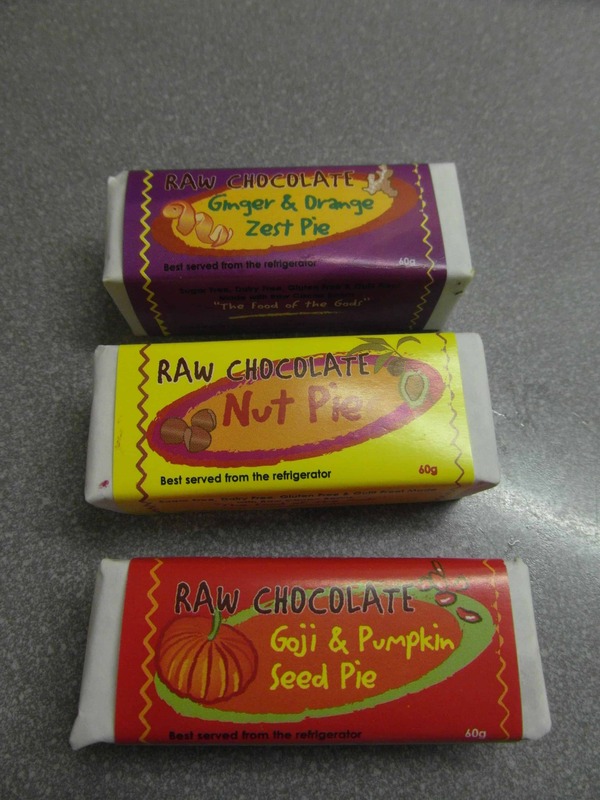 I was sent three flavours to try – the nut pie, the goji and pumpkin seed pie and the ginger and orange zest pie. I was feeling a real craving for something sweet, and knew these would hit the spot. Despite the name ‘pie’, these are more of a ‘bar’, but don’t let that put you off! Best served straight from the fridge, these have a rich flavour and a great texture, kind of nutty and crunchy, yet they melt in your mouth at the same time. The ginger flavour is zesty and packs a real punch – this would be a great pick me up if you’re feeling a little lacking in the energy department. The goji berry and pumpkin pie bar was almost spicy, though I could not find chilli on the ingredients, it certainly tasted like there was some in there! But my favourite of all was the nut pie. It was sweet without being over bearing, and I could have just gobbled the lot all in one! So if you want a treat which gives you a sweet fix without the naughty sugar, these are definitely one to try! For more information on Living Foods visit their website here.